Are you currently involved in a role offering energy advice to householders? Do you also provide advice linked to fuel poverty such as advising what a customer should do when they can’t afford to pay their bills or simply can’t afford to heat their home? 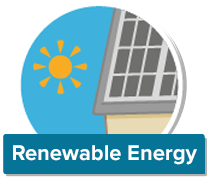 Do you have an understanding about the various ways that energy can be saved in the home such as insulation, heating and renewable energy upgrades? Do you know about the current grant schemes such as the Energy Company Obligation? Happy Energy is one of the UK’s leading energy saving businesses, based in Cornwall but providing services to homes across Britain. We have recently re-launched a service called the Heat Project for local authorities to offer their residents energy advice and access to grants to make their homes warmer and save them money on their energy bills. We are looking for a new energy advisor to join our small friendly team to take calls and provide home energy advice over the phone, based initially near Redruth but later from our Perranporth office. If you believe you have the experience, a friendly and outgoing phone manner and would like to join a growing award winning company, then please send us your CV. Whilst not essential, any relevant qualifications such as those provided by the NEA will be a distinct advantage. Due to a number of new contracts, we are looking for qualified gas, LPG and oil heating engineers to join our team based in Perranporth. Although not essential, engineers with Part P qualifications will be at a distinct advantage. You will be provided with a company van but will require your own tools. Self-employed and contract engineers also considered. Due to winning major contracts with Big 6 energy suppliers and, due to increasing demand for or boiler replacement / central heating services, Happy Energy is looking for self employed heating engineers who will install full gas central heating systems and boiler upgrades free for low income households across Devon. You will be working under our Gas Safe registration but will require your own public liability insurance, your own van and tools and will be paid a set rate for the work completed. If you are interested please complete our initial application form here. Happy Energy was voted ‘Best New Business’ in the Cornwall Business Awards and achieved revenues last year of over £11 million thanks to our great team of people. 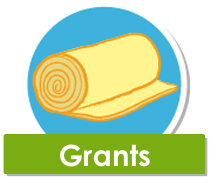 In some cases, subject to eligibility, these grants will cover the full cost of the works. 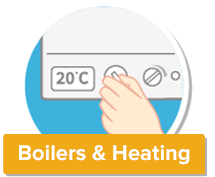 With so many ways to heat a property, at Happy Energy Solutions, we help you choose the best heating and boiler solution for your home – one that is efficient and perfect for your needs. Whether you want a straight forward boiler upgrade, advice on the best heating solution for your home or a completely new heating system, Happy Energy Solutions can help. We want our customers to understand how to keep their homes warm and cosy at a price they can afford. That is why you can call us for general energy advice too. At Happy Energy Solutions, we are able to offer certain eligible households with a free or grant funded ground source heat pump upgrade. Whether you want a new oil, gas or LPG boiler, home insulation or a new renewable energy technology such as a ground source heat pump, Happy Energy Solutions on 0800 0 246 234 and find out how we can help.